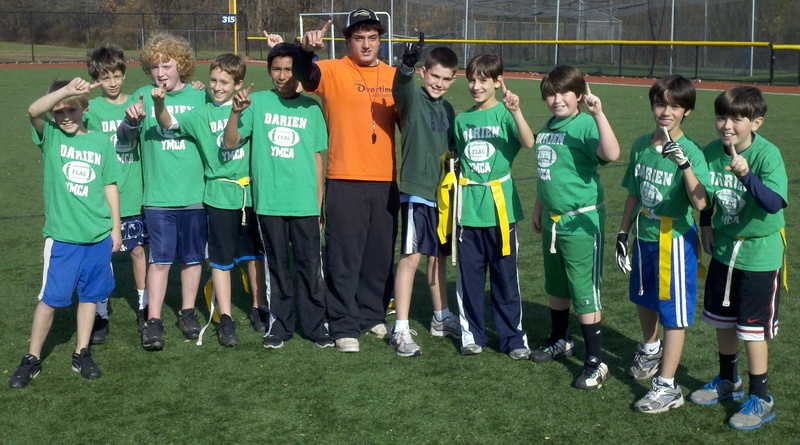 Football Home | Darien YMCA Sports Dept. 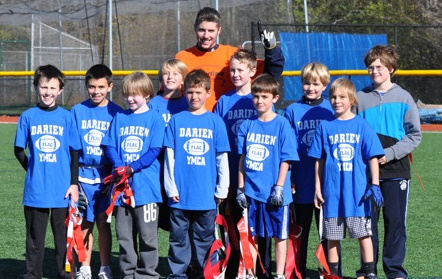 Darien YMCA Flag Football is a recreational program designed for youngsters new to the sport of football as well as those not quite ready for tackle football who want to learn how to play the sport, brush up on the rules, tactics, and skills, improve their game and most importantly, HAVE FUN! Our focus is on football education, participation, and sportsmanship. Flag Football is open to boys entering 4th - 8th grade in the fall of 2018. Our program had been designed to give the players an opportunity to learn the basics of football and develop a better appreciation of the game. It is a wonderful experience, a great way to learn the skills of teamwork and have fun! Flag Football is a NON-CONTACT sport. Velcro flags are worn and pulled off for a “tackle”. Flags and jerseys are provided. Sneakers or rubber cleats are recommended. Mouthpiece is optional. No experience is necessary and EVERYONE plays!